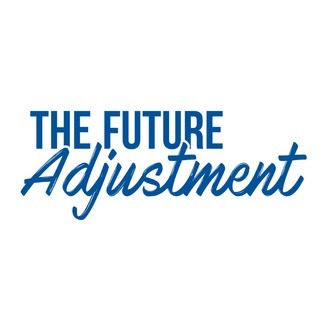 Daniel: Welcome to “The Future Adjustment-Chiropractic Economics Podcast” series on what’s new and notable in the world of chiropractic. I’m Daniel Sosnoski, the editor in chief of chiropractic economics, and our guest today is Chad Finnegan. He’s Vice President of Business Development for Impact Cryotherapy. We’d been seeing cryotherapy emerging as a popular modality for doctors of chiropractic. We thought it’d be a good idea to delve into the science and the business of offering this type of treatment to patients. Chad, it is a pleasure to have you on our podcast. Thank you for making the time available. Chad: Absolutely, Daniel. Looking forward to it. Daniel: Okay. Well, hey, for our listeners who are unfamiliar, could you tell us a little bit about cryotherapy? What is cryotherapy? Chad: Yeah. So cryotherapy, in general, is cold therapy, right? So ice packs or ice baths, even in cold showers. Cryotherapy in kind of these specific terms in the niche market that we work in is the use of cold, dried nitrogen air to stimulate the body’s response such as a cold ice bath would, but obviously, much different and colder and much more evenly cold. Originally, the concept was created in Japan for arthritis and reducing inflammation and kind of made its way to Europe where a few designs were created and ultimately, here into the States. And so, today, we work in all kind of different verticals from health professionals, from chiropractors and sports chiropractors to orthopedic rehab, pro-college programs in athletic training rooms and spas and entrepreneurs. Daniel: Yeah. And I think it’s notable that it’s really moving into the sports therapy world. Doctors of chiropractic who work on sports teams are using it, sports teams are buying this equipment and using it and in general, professional athletes aren’t going to mess around with things that don’t work. So it’s sort of proving itself on the field of performance. Can you give us a little bit of a sense of what the science and the facts are behind cryotherapy? Sort of, you know, how does it work? Why does it work? Chad: Oh yeah, absolutely. And you know, here in the United States we’re kind of leading the way in case studies. And Dr. James Andrews is chair of our board and we got several other orthopedic and pain docs that we work with on trying to understand and create American data. But for the last 20 years or so, a lot of that data’s coming out of Europe because the equipment’s predominantly been there longer and has more resources and assets around it. But yeah, anytime you stimulate the body with these kind of cold temperatures, it’s turning on the central nervous system to trigger and fire up as well as creating blood flow, and really the idea behind cold therapy, in general, is to really trick the brain into thinking that you’re going into a fight or flight mode, that blood rushes to the core and creates fresh resources. And then once you warm back up, you flush that blood back out. Similar to putting an ice pack on your ankle, right? But we’re doing it here in this case in three minutes and it’s a complete overall cold so that it shocks the body a little bit differently. In doing so, it really…people…it’s across the spectrum and the benefits that we’ve seen with our clients and their clients. Daniel: That feeling of going from warm to super cold and back to a warm again, it feels really good, actually. I can see why people like doing that. Who are some of the people who were using cryotherapy both practitioners as well as users? Chad: It’s a great deal of education and kind of getting people out there, they are evangelists for you. So we’ve seen our product be really successful. Obviously, we built our foundation in sports, so training rooms and athletes, they’re very familiar with ice baths and like you said, going from hot to cold, that’s not unfamiliar experience for them either. And cryotherapy is just a different kind of cold and we believe a more efficient cold, obviously. Chad: It stretches from the health professional side all the way to the entrepreneur that’s opening up a wellness center and is creating these experiences that are trending upward and you know, health and recovery that’s a little outside of your norm. Daniel: How do I sell it to patients? Chad: Yeah. And this is where I’m going to tip my hat, right, Daniel, because I’m not a doctor, but I am the guy that’s… I say “I.” Our team, we are the company that’s really created the business solution for this space. And so efficiency and safety standards, protocols, our training and certification process, and our compliance status across the country. I can give you the tool, but it’s the Dr. Troy Van Biezens of the world, that really take that tool and incorporate it into their client base for benefits. Now there’s a couple things that we all stand on that it’s going to reduce inflammation, create some blood flow, it’s going to fire up some endorphins. So are we going to do that prior to doc working on them or are we going to do that post, right? Is it going to work on them pretty hard and create some inflammation and soreness? And you wanna do cryo afterwards to kind of get that blood flowing again? So we’re learning from them on that side, but we’re the team that’s going to make sure this tool is working correctly. Daniel: Gotcha. Hey, how cold do these units get at their maximum frigidity? Chad: So when we entered this space, Daniel, almost all of the equipment in the United States came from European markets and manufacturers. So it was a great opportunity to us to fill what we were looking for. What we were looking to purchase was an American company. In doing that, we wanted to create and build something that we would buy and in that sense, we created something that is very accurate in temperatures. One of the hard pieces with that was a lot of the equipment out there gives you a temperature, but that’s not what’s actually being exposed to the body. That’s the temperature entering the sauna most likely. Well, that’s a very different temperature. So we use minus 191 Celsius or 320 Fahrenheit to enter the sauna. However, we measure the temperatures within the sauna, which is about a 70-degree swing. And then we set it on three levels that are easily to reproduce and create a consistent experience for the client. So in reality, what we created was something that was very reproducible, once the client’s at the right level they like. Maybe it’s 110, 115 Celsius every Monday, Wednesday, Friday. Daniel feels great at that level and in Impact or you know, in our sauna, it’s really whether it’s LA, New York, or Miami, you’re going to get that same experience. So we led the way in actually showing the market how to produce the right temperatures effectively, safely, and consistently, but also, delivering a consistent, reusable experience for the client. Daniel: Okay. Well, if you’re talking about minus 200 degrees Celsius, that is really cold. Are there safety mechanisms to ensure the safety of customers? Chad: Oh, absolutely. And it does sound cold, right, but we got to remember it’s a cold, dry cold. So it’s a different cold. And sometimes we illustrate it. If you stick your hand in an oven and you touched the sides or the top, it’s going to burn you. If you stick your hand in 300-degree oven and you just stick it in the heat, that’s a different sensation, right? And so that, in part, is similar to cryotherapy. And so, it is extremely cold that’s why it’s a three-minute experience. The temperature’s skin is dropping rapidly, which triggers the body’s response and the benefits, but it definitely sounds cold and a little scary, right? I mean, you know, we’re building projects every day all around the planet. One of the things we come up against is, “Oh, I don’t know, that sounds really cold,” but once you get in it and experience it, it’s not as cold as you thought and it’s refreshing. Your endorphins are fired up. It’s a very tangible experience you want to do again. And that’s where I think at the core of cryotherapy where it’s growing. Daniel: So, I mean, if I’m evaluating a unit, are there typical safety features that I should be looking for? Like, I don’t know, something like a dead man’s switch or a door that opens automatically, you know, what kind of things do you guys have? Chad: So, we’ve worked and led the way with the FDA and being classified as a 513(g) device, which is a consumer device. So we play more of the fitness space world, right? And that comes from experience in our company with the medical device space. But in that, we also…because it’s a very unique and organic design that we created ourselves, not following the other designs that were in the market before us, we really focus every day on safety and that rolls in our design. So, three of the biggest points are 1, we have a 30-second interface program on our controller so that when the operator is doing a session, every 30 seconds, they have to push, “is everything okay” button on the screen. This ensures two things. One, the operator’s engaged with the equipment, and two, the unit’s never used alone, right? The operator always engaged with the client inside the sauna. Another really strong feature, and it’s a big part of how the sauna communicates to the operator is a pressure transducer system. So the unit actually knows what it’s hooked up to, high, low, great pressure and it communicates that to the operator, and it even shuts itself down in some cases when it sees it getting out of the bandwidth of which, you know, a lot of our protocols and sessions have considered safe. So that’s technology that really nobody else is doing. And that our sauna is actually smarter and communicates to the operator in real time. The other thing, Daniel, and you’ll relate to this, I think, with your background, is that nothing covers safety and the future of safety and lowers your risk on that side as proper training. And so, we’ve created very in-depth protocols and training procedures with our equipment. Our team’s onsite for two days with every client we have around the planet, and we’re literally going through our training certification program that we’ve created and we’re leading the market in. But to back that up, we’ve also created a client portal on which we’re constantly engaging with our clients post installation on additional training materials and furthering education around, you know, proper ways to create the right experience and most importantly, the safe experience for their clients. We got good at building, selling, and installing our equipment long time ago. Where we’re constantly working all day, every day, is creating the orbit of things like safety and business strategies and things like that around our product. And that’s really where I think our clients fall in love with our company is not just selling them a piece of equipment and wishing them the best of luck, but it’s the ongoing relationship in the infrastructure and foundation we build to not only be their partner today for the sale, but to be their partner in five years from now. Daniel: Gotcha. Hey, you know, if you’re looking at a sauna, for example, your main consumable is going to be electricity, but with one of these units, it’s going to be using both electricity and liquid nitrogen? Daniel: So that would be a consumable. How often do you have to buy a nitrogen tank or do you get those delivered, or do you have to order them locally from a scientific supply store? How does that work? Chad: Yeah, and that’s a great question. It’s probably…from a business side of this space, it’s the most important, right? So, because it is your consumable. We pull less power than a microwave, so all the energy that we use really to create the cold experience is from the nitrogen side. We were very innovative in our design and enrolling into the market, but we knew we also needed to be innovative on the energy source side because this space wasn’t developed yet, right? So early on, we were hooking our equipment up to cylinders that were 10, 15, 20 years old, didn’t hold pressure, didn’t create the right experience, weren’t the right business efficiencies and cost per session we wanted. So we started working with the manufacturers on that side. And so today, fast forwarding, Daniel wants to open up cryotherapy studio or put it in his practice, we’ll set you up with a local gas supplier that one, has experience with us, and two, has been educated on our equipment’s needs. His company, most likely, has already made an investment into our SPEC tanks, right? Chad: And so when he gets an Impact account or an account with us, he knows the right cylinder to hook up to provide the optimal source, which is business, safety, and operation advantages. So, that’s a big piece of the work that we do and why people choose to partner with us. And I think it’s probably the most important when it comes to the business. Chad: A standard 230 liter cylinder, our national average with our clients is about 35 to 40 sessions per cylinder, right? So you’re rotating cylinders once or twice a week on average. Now there’s hundreds of different ways to go into the bolt world where you have a larger tank outside, it’s piped in and filled with a truck. That’s a little more upfront investment, it’s lower cost per session, and it’s less hands on. So we do a lot of those kind of projects as well, but yeah, that side of the business as you’ve indicated is almost nobody knows, right? And so, a big part of what we bring is the experience, contact, and infrastructure that we built to support our product on that side too. Daniel: Gotcha. Hey, we got time for one more question and that would be the demographic. You know, different chiropractors see different mixes of patients. Is there a type of patient demographic that this is gonna be easier to sell to than others? Chad: It’s quick, it’s dry, it’s effective and it brings a lot of value, not only into the practice, but it brings a lot of value to his life and his lifestyle. So we really find ourselves in that wellness space more than just cryo. Chad: Obviously, we manufacture cryo, but it’s much bigger than that. So the 16-year-old Division I soccer athlete, all the way to my grandfather that’s trying to play an extra 18 and reducing inflammation and aches and pains and creating blood flow can help almost everybody. Daniel: Gotcha. Hey, well, if anybody would like to jump online and learn a little bit more about cryotherapy, about Impact, where can they go online? Chad: Yeah. So our website’s probably the most powerful resource and that’s impactcryo.com. That would be a great resource. You can put your email and phone in there and we can dive in and our job’s not always every day to sell equipment. Our job is really to educate the market and find the right partners and strategies that will, you know, cryo there should be a part of. Daniel: Okay. Well, you know, one of the reasons that we asked you to be on our show was because I visited your website and your equipment really does look state-of-the-art. It’s very, very impressive. Daniel: It does not look like something that somebody built in their garage, it just looks like something that NASA would have built, you know, so I was looking forward to talking with you. I want to thank you very much for spending this time with us today, Chad. It’s been informative, it’s been enjoyable, and you’ve given us a chill look at “The Future Adjustment.” I’m Dan Sosnoski, and we’ll see you next time. 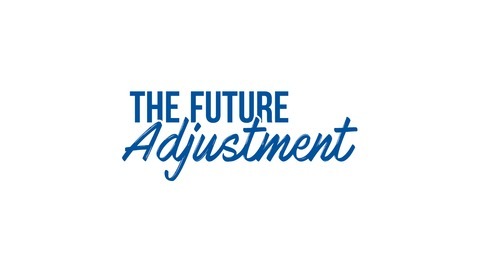 The post The Future Adjustment Podcast Episode 26: Cryotherapy and chiropractic appeared first on Chiropractic Economics.